Yesterday's post about the Samsung 3D television from my guest blogger, AJ, set me to wondering about blu-ray 3D so I did a bit of poking around and this is what I found. A television, monitor or projector that will display 3D movies. A pair of 3D glasses for each individual who will be watching. And, 3D blu-ray movies or discs. For more information about blu-ray 3D and these requirements, be sure to visit my new page, What Will You Need To Watch Blu-ray 3D Movies At Home, by clicking right here. I think we are all pretty familiar with what 3D is in regard to movies. The movie studios are working hard to make sure we are going to have some content to watch from the comfort of our 3D home theatres. Eventually, we will be able to bring home Avatar, Alice in Wonderland, A Christmas Carol, How To Train Your Dragon and Clash of the Titans in blu-ray 3D. Samsung has released a new range of eco friendly 3D TVs, including the Samsung UN55C8000 55-Inch 3D LED HDTV. Our visit to the movies to see James Cameron's 3D Movie Avatar left us utterly spellbound and a 3D HD TV definitely features high on our wish list. However, in this "going green" family any new purchase requires some thorough checking out of the product's green credentials, particularly if they are electrical goods. I was pleased to note that the Samsung UN55C8000 is more environmentally friendly than earlier models of Samsung's HD LED TVs, uses 40 percent less power than similar size 2008 Samsung LCD TVs and is Energy Star compliant. But it is not just the looks and viewing experience. Samsung have added some extra functions that include Internet@TV; a range of apps that let you stream video, play games and view pictures; customizable widgets that give you access to BLOCKBUSTER, Facebook, YouTube, Flickr, Amazon Video On Demand, Netflix, Twitter, Pandora and more. Yes, the Samsung UN55C8000 55-Inch 3D LED HDTV ticks all the boxes for my family and is definitely on our wishlist! Thanks, AJ! You have made a solid case for the Samsung 3D HDTV. I especially appreciate your consideration of how environmentally friendly this unit is. Order your Samsung UN55C8000 55-Inch 3D LED HDTV from Amazon. Read some very comprehensive Amazon Customer reviews for the Samsung UN55C8000. I stumbled across Summer Love Songs by the Beach Boys by accident today when I was working on a page about barbecue aprons. Released on May 19, 2009, Summer Love Songs features twenty of the original Beach Boys recordings, remastered. This is precisely the type of album I love to play in the summer when I'm working in the kitchen and when I'm driving. I would put this on when I am home alone (and sing along) and I would put it on when we were having friends over for a barbecue. I am definitely thinking that this is a must-have CD for summertime. What do you think? Order your copy of Summer Love Songs by the Beach Boys from Amazon. There are not many television shows that a I follow on a regular basis but recently I discovered The Cupcake Girls on the Women's Network. A reality show of sorts, it follows the daily business operations of Cupcakes, a cupcake bakery with six locations in Vancouver. I guess I am interested in the show because I have been caught up in the cupcake craze. I have baked a few cupakes recently and I have even written a few webpages on the subject. The 'girls' that own this bakery started their business by breaking all the basic rules...don't start a business about something of which you know nothing...don't start a business with a friend...don't start without a business plan...don't work with family members. Suffice it to say, they broke almost all of the basic rules but they have still managed to create a very successful business with their cupcake bakeries. I am enjoying the drama that unfolds each week...like what happens when the entire bake staff is stolen and the owners are forced into the kitchen. That happened last week's episode and it was, ah, interesting...I suppose this is one of the reasons you should not start a business unless you know something about the product. In this case, about baking cupcakes. If you love cupcakes, you will likely enjoy this show. If you are interested in running your own business about cupcakes, a bakery or really any small business, you will find it enjoyable, too. I figure if I watch it often enough, I will learn how to ice my cupcakes the way the professionals do it. Curious? Watch the first episode online by clicking right here. Watch The Cupcake Girls on W.
Read more about The Cupcake Girls W television Show. 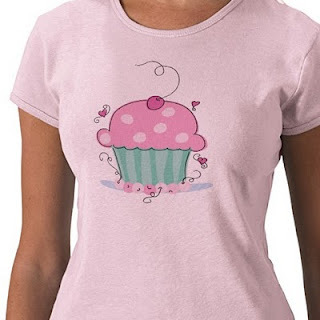 Order this cute Cupcake Girls t-shirt from the artist at Zazzle. Would YOU Like To Be The Merry Men's Minstrel in Robin Hood? A very talented Newfoundland musician auditioned for and won the role of the Merry Men's Minstrel, Allan A'Dayle, in Ridley Scott and Russell Crowe's Robin Hood and it sounds like he had a lot of fun. Don't you wish it was you? I do although I am willing to admit that I am not, ah, ideally suited for the role. However, it turned out that Alan Doyle of Great Big Sea fame was. Apparently, it DOES matter who you know. In this case, Alan Doyle and Russell Crowe were friends, having worked together to create Crowe's discountinued 2005 album, My Hand, My Heart and Crowe asked Doyle if he would play the part. Expert heads put together determined, I guess, that the fact that Doyle could not play the medieval flute was a small issue for someone as musically talented as Doyle. Subsequently to winning the part, Doyle had to attend Merry Men boot camp. During three weeks in Australia and three in England, he learned the skills required to be one of Robin's men...archery, swords and horses. Doyle says that was the easy part; the acting, not so easy. On stage you have to be flamboyant; on screen, still. How about you? Do you think you would have enjoyed being one of The Merry Men? Can you name the top five movie quotes of all time? Do you know who said them? When I was reading about Humphrey Bogart and Katharine Hepburn earlier this week, I learned that Bogart is attributed with the most quotes on the American Film Institute's top 100 list. I also stumbled across some fantastic movie quotes...and I read and enjoyed the AFI's list. 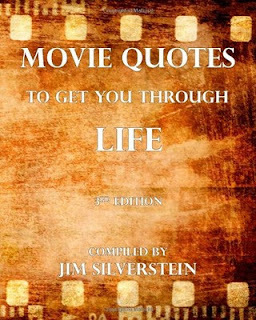 Buy Movie Quotes To Get You Through Life from Amazon. 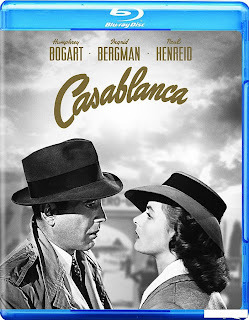 Looking for the five best blu-ray movies for Mom? This is my take on the five best choices but be aware that ‘best’ has different meanings for different people. Five-star overall blu-ray quality, meaning these movies all have the best sound and vision quality reviews. You won't find better movies in that regard. Five-star movie reviews, meaning these movies all have great storylines that people really enjoy. I have thrown a bit of my personal judgement in. 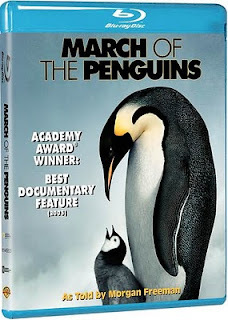 Since we are looking for the five best blu-ray movies for Mom, I eliminated action movies. I don't mean to say that moms in particular or women in general do not like those movies, just that I was trying to target movies that Mom would pick for herself more than ones Mom would pick to watch with a family or as part of a couple. Finally, these are all blu-ray movies that I would like to own. Am I surprised? Not really, I know that The Wizard of Oz and Gone With The Wind were given top-notch transfers by the studios. I believe that Ratatouille and Hairspray were made with the blu-ray format in mind. Forrest Gump though? He was the surprise for me. 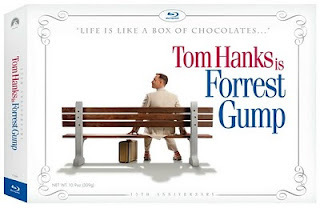 Forrest Gump is the story of a man with a low IQ who winds up being part of important events in America between the 1950s and the 1980s. It was a very successful movie with a Best Picture Oscar in 1994 and it holds the number 74 spot on the American Film Institute’s list of greatest movies. So the story is definitely a good one. High-Def Digest says the blu-ray transfer has “stunning audio and video presentations” and a “complete host of extras.” High-Def finishes with: “Paramount has put together a Blu-ray release that is a must own for anyone.” Which means that the blu-ray is good, too, and done in a way that is appropriate for a movie that is an American classic. Sounds like a movie I need to check out on blu-ray. What do you think? Are there some great movies on this list for your Mother or did this list not provide you with what you were looking for? The ONLY Recording Of The Beatles 1966 Toronto Press Conference ~~ What's It Worth? Of course, Mr. Hourigan is GLAD that there were no takers because auctioneers at Bonham's feel that the film may sell at auction for up to $25,000 U.S. during an upcoming memorabilia sale. This is the ONLY known recording of that session. 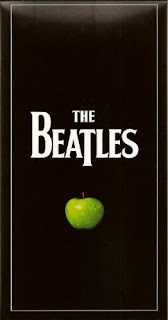 The tape is said to be 14 minutes long and feature all four of the Beatles with the issues of draft dodgers, Beatles versus Jesus popularity and the band's possible break up being discussed. On that issue, Lennon said, "We're obviously not gonna go around holding hands forever." Is $25,000 reasonable? Mr. Hourigan certainly hopes so and there is certainly precedent and interest in Beatles memorabilia. Last July, the signed poster that hung over John Lennon and Yoko Ono in the iconic hotel bed sold for $140,000; Lennon's handwritten version of Give Peace A Chance sold for $800,000; and in 2008, a copy of the white album sold on eBay for the equivalent of $19,878 U.S. Here's a peek at a press conference held in Los Angeles on August 28, 1966, just days after the Beatles were at the King Edward Hotel in Toronto. I suppose one could expect the Toronto film to be similar. I wonder if the public will ever have the opportunity to view what is on Mr. Hourigan's reel-to-reel tape. More about The Beatles on video. The recent release of the movie The African Queen on blu-ray has me wondering who Katharine Hepburn was. I am sure it will come as no surprise to anyone that is interested in movies that she was a legendary actress who appeared in many film, television and stage productions. However, do you know that Hepburn holds the most Best Actress Oscar wins ever? She won an unheard of four Oscars and received twelve nominations. She also won an Emmy Award and received four more Emmy nominations. Katharine Hepburn won Best Actress for her roles in Morning Glory (1933), Guess Who’s Coming To Dinner (1967), The Lion in Winter (1968) and On Golden Pond (1981.) She was also nominated for her roles in Alice Adams; The Philadelphia Story; Woman of the Year; The African Queen; Summertime; The Rainmaker; Suddenly, Last Summer; and Long Day's Journey into Night. Katharine Hepburn once said, "I think most of the people involved in any art always secretly wonder whether they are really there because they're good -- or because they're lucky." I think that this partial list of Katharine Hepburn's movies demonstrates that Katharine Hepburn was definitely a great actress. What do you think? Katharine Houghton Hepburn May 12, 1907 – June 29, 2003. Buy African Queen on blu-ray or DVD from Amazon. 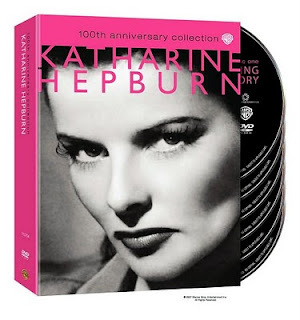 A great collection of Katharine Hepburn's movies, The Katharine Hepburn Collection, features Morning Glory, Undercurrent, Sylvia Scarlett, Without Love, Dragon Seed and The Corn Is Green.